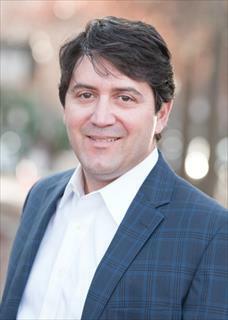 After relocating to Asheville from Telluride, CO in 1997 with wife Katy, Greg has been a real estate professional in western North Carolina as both a Certified Appraiser and a Real Estate Broker. These days his focus is on large tract land redevelopment and sales, commercial brokerage, custom and historical home sales, and consulting all over western NC. Greg graduated from Clemson University in 1991 with a BS in Marketing and has a background in both commercial and residential construction. Other properties in which he has experience include: horse properties, development properties, vacant land, multi-family, and commercial sales and leasing. Other than work, Greg keeps busy chasing his two daughters around and playing golf whenever possible. He lives and works in Asheville and loves raising his family here in Asheville.